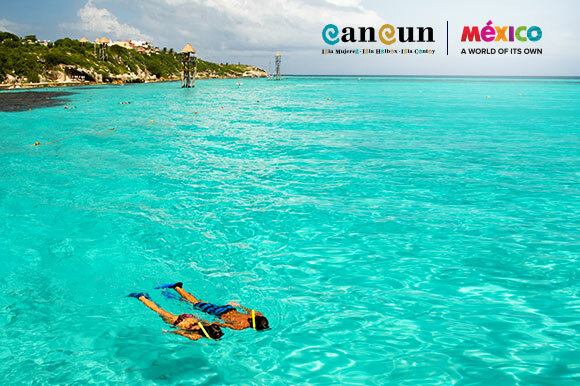 Cancun is our most popular vacation destination for a reason. It has a little something to do with the perfect (and we mean perfect) beaches and year-round sunshine, and whole lot to do with the warm, friendly locals. 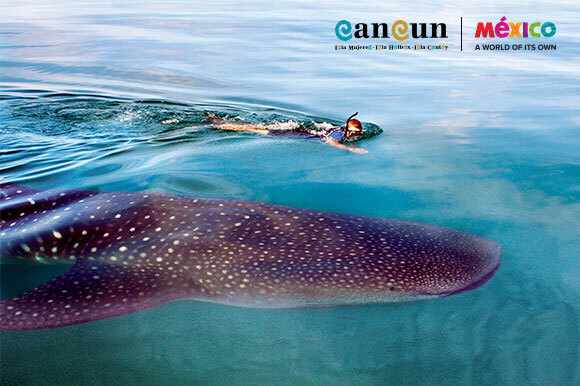 But between hours at the beach, it’s always Cancun’s easy-to-find adventures that keep us coming back for more. Here are a few of our favorites. Grab the fam and take a dip with the sea turtles in nearby Akumal Bay, just 20 minutes from Cancun. You’ll glide above the colorful coral and swim with marine life you never even thought you’d see in the calm waters of the Mesoamerican Reef—the second largest coral reef in the world. If you’re looking to supersize the experience, you can swim side-by-side with gigantic (and perfectly friendly) whale sharks from May to September. There’s just something about crystal-clear, completely pure water. When you find it, you just gotta get in. Maybe it’s so irresistible because it seems so rare. Not in Cancun, though. The Yucatan Peninsula is home to thousands of cenotes—nature’s take on a fresh-water swimming pool in the middle of paradise. No currents and no unpredictable waves mean these are the perfect swimming holes for the kids. Cool off, snorkel or do a little cliff jumping at some of our favorites like Ik Kil, Yokdzonot and Dos Ojos. 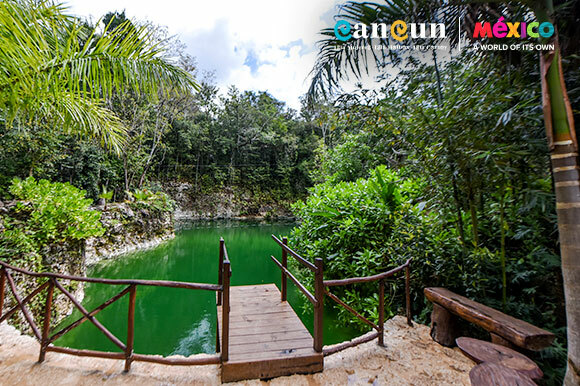 For even more action, head to one of Cancun’s exciting Eco Parks. At Xcaret eco-archaeological park, you can snorkel through the bright blue lagoon, swim with dolphins and marvel at the high-flying Voladores ceremony. Exploring Tres Rios Nature Park, you can discover three ecosystems—jungle, mangrove forest and coastal dunes—while you wonder which one of its ten refreshing cenotes you’ll hop in next. Check out Xel-Ha, Xplor, Rio Secreto, Boca del Puma, Selvatica, Croco Cun Zoo and Aktun Chen for more wow-worthy excitement. You’ve dreamed about visiting the pyramids in Egypt. They’re pretty dang amazing. But what do you know about Chichen Itza? 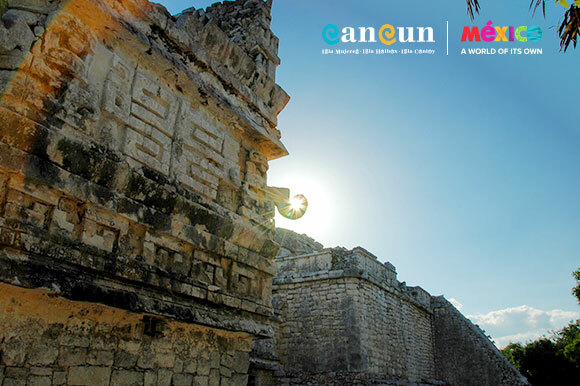 This close-to-Cancun Mayan archaeological site is a UNESCO World Heritage Site and one of the New Seven Wonders of the World. Other Mayan archaeological sites like Tulum (overlooking the sparkling Caribbean Sea) and Coba (where you can actually climb the tallest pyramid) are exciting places to learn about the culture while soaking up the sun. 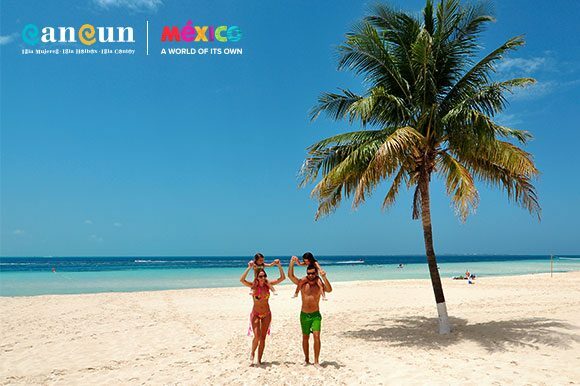 When you’re ready to discover Mexico, a world of its own, start planning your getaway or just contact your local Funjet Travel Agent to make it happen. Mexico A World of its Own. I need to be there asap…. I just came back from Cancun such a beautiful beautiful place. We stayed at the Crown Paradise Club Hotel beautiful. I really like the hotel everyone is so friendly beautiful rooms. That’s right like to stay I’ve been there twice now so beautiful beautiful place. Kid-friendly they have stuff for kids to do miniature golf kids slides and stuff in there pools. I recommend anybody to go there and stay at at the Crown Paradise Club, all inclusive. All the food all the alcohol drinks for no cost it’s wonderful. Are there any of the mesmerizing places that are handicapped accessibile. Swimming, sand wheelchairs, trails, etc.? I would also use a handicapped room in the hotel & would need to know what would be included. ← Jamaica: The place to be. The AMResorts® Collection: Which Brand is Right for You?